Manchester United might be on their way to breaking a long time bond with the Belgian midfielder Marouane Fellaini, as speculations are rife that the 29-year-old might be making his way out of the Old Trafford in the summer to join the Turkish Super Lig side Galatasaray. Fellaini has been known for his physical presence on the pitch and has a rough and tough image in the English Premier League. He made it into the Red Devils squad under the tutelage of former manager David Moyes, who brought him in from his former side Everton in his first season in charge of the former Premier League champions in 2013. However, under the new manager Jose Mourinho, the Belgian has fallen down the pecking order to some extent in the last term. 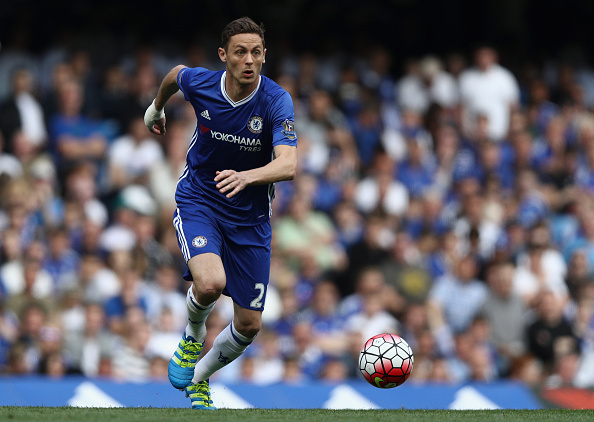 Now with the possibility of the Serbian enforcer Nemanja Matic coming into Old Trafford in the summer from arch rivals Chelsea, the midfielder might be well on his way to the Turk Telecom Stadium. Reportedly, Galatasaray’s Sporting Director Cenk Argun has also confirmed the interest his team has in the Manchester United player. The Serbian midfielder, who is currently playing for the arch rivals Chelsea, is on the top of the list for the Portuguese mastermind, who wants him at Manchester United in the next term. The enforcer played a very important role in the midfield in the last term to make the Blues the champions of England, but has since fallen down the pecking order with the arrival of French midfielder Tiemoue Bakayoko from French Ligue 1 champions AS Monaco and is looking to head out of Stamford Bridge in the following season. 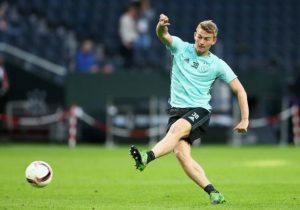 The Everton midfielder has been in a rebellious mood in the last term, having denied to penning a new contract that will tie him down at Goodison Park. The English international can be a good replacement for the Belgian player and is equipped with a robust physique and good challenging capacity to take on the opponent players in the middle of the pitch. The Croatian midfielder is known for his powerful presence in the midfield and has been linked with Manchester United for quite a long time. The player can be a good replacement for the Belgian midfielder in case Inter Milan let go of their prized possession in summer. Barcelona Eyeing A Shock Move For This French Superstar: Can Valverde Pull This Off? Everton Eyeing This Premier League Defensive Rock: Ideal Man For Koeman? Former Borussia Dortmund Manager Is On Chelsea’s Radar To Replace Conte: Right Man For The Job? Chelsea Join Race To Sign Exciting Portuguese Midfielder: What Will He Bring To London? Chelsea Miss Out On Golovin: 3 Alternatives Sarri Can Consider Including German Free Agent! Chelsea Want This Italian Wizard Who Is A Conte Favourite: Would He Be A Good Addition?